Liverpool keen to land Karim Benzema Liverpool boss Brendan Rodgers is keen to sign Real Madrid striker Karim Benzema in the summer window, as per Spanish reports. Liverpool boss Brendan Rodgers is keen to sign Real Madrid striker Karim Benzema in the summer window, as per Spanish reports. The Premier League side have not signed the replacement of Luis Suarez who left Liverpool for Barcelona in the summer. The Uruguayan striker scored more than 30 goals last season for the Reds and helped them to finish at the second spot above Chelsea in the Premier League. Reds boss Brendan Rodgers signed Mario Balotelli in the summer who has not shown any positive signs in the Red jersey, he has only scored a goal in the Premier League. While, Daniel Sturridge has also not impressed enough due to the injury problems. Liverpool are in need of a fine striker who can score more than 20 goals a season. 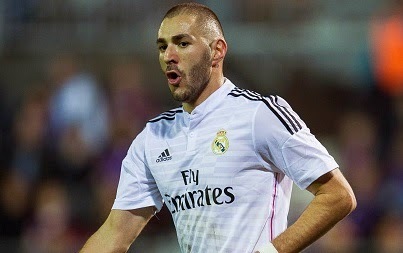 Karim Benzema has been one of the top target who has been tipped to leave the Los Blancos in the summer. Also the reports claimed that Real Madrid are planning to bring Paris Saint-Germain striker Edinson Cavani which would lead Benzema towards the exit door. Arsenal were also keeping tabs on Benzema last summer but now they have no plans to try for the Frenchman. The Reds are also targeting Porto goal machine Jackson Martinez, who is keen to join Premier League in the summer.